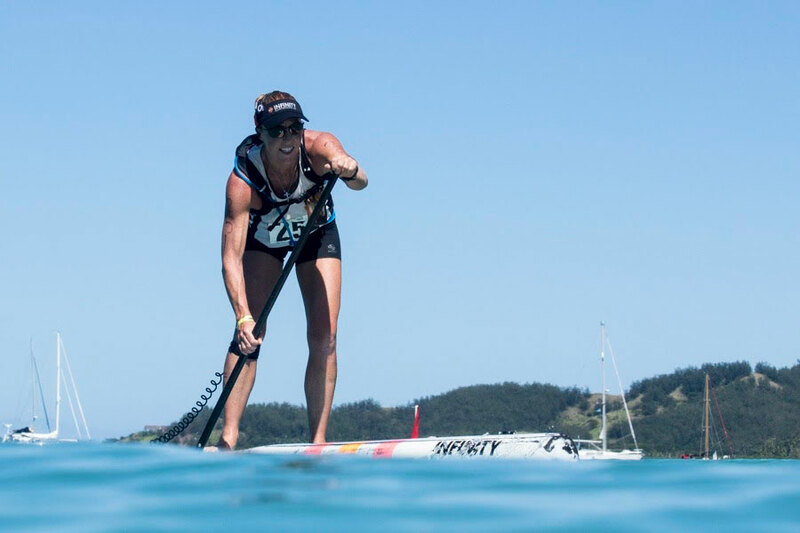 The Women’s SUP and Paddleboard Distance races were held to hot & grueling conditions, the course had to be changed twice due to excessively low tides, but the women’s 18K distance Final in the 2016 ISA World SUP & Paddleboard Championships did not disappoint. 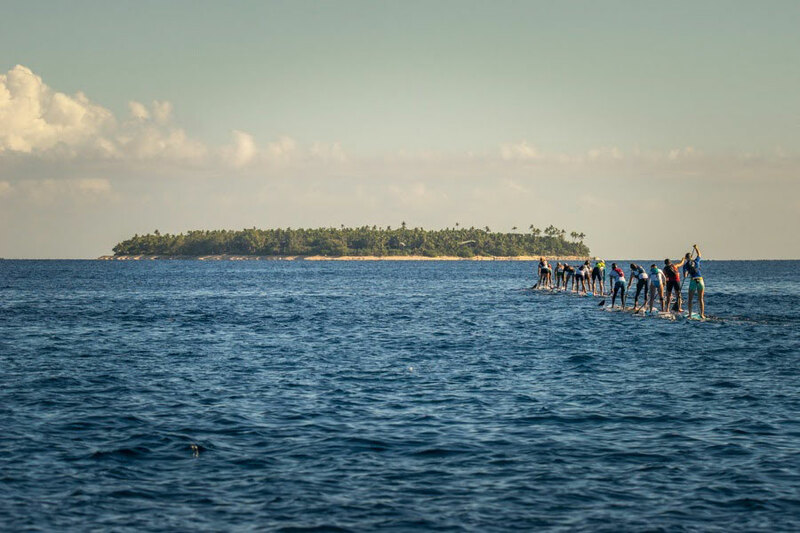 At the start line, some of the best athletes in Women’s SUP and Paddleboard racing today, lined up at Cloudbreak first and eyed the Gold 18 kilometers away at Musket Cove. 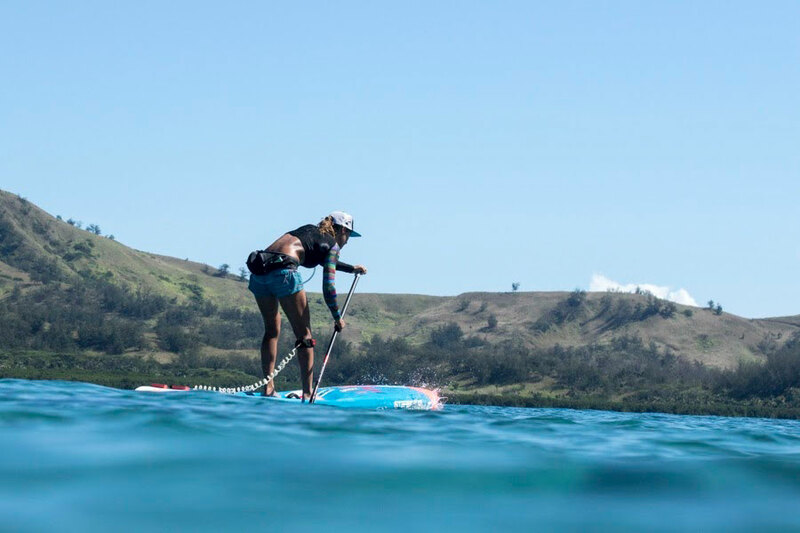 In the Women’s SUP race, defending champion, USA’s Candice Appleby quickly jumped to the front of the pack at the start and by the time she reached the island of Namotu, she had built a 100 metre lead on her closest competitor, France’s Olivia Piana. Appleby’s dominant lead only continued to grow; however, she nearly made a critical error as she lost track of the last buoy before Musket Cove. A seasoned competitor and one that keeps a cool head in the heat of battle, as she realized her error, she redirected her course and rounded the final buoy crossing the finish line in 2:02:2.54 and earning her second Gold medal. It’s amazing to win gold for the second time in the distance race,” said Appleby. “It was a really hot course out there today with challenging conditions. Grueling indeed, as the girls charged up the Cove and France’s dominant force Olivia Piana crossed the finish line behind Appleby at 2:04.32 and earning her country’s Silver medal. Spaniard Laura Quetglas claimed bronze in a time of 2:07.02. The Women’s Paddleboard Distance Race took off from Cloudbreak 1 minute after the SUP racers and a two-woman race quickly developed. Australia’s Harriet Brown, already a Gold Medal winner in the Technical Race, and New Zealand’s Dannielle McKenzie, who had earned the Silver in that same race, jumped out ahead of the pack at a blistering pace. Both riders remained neck and neck the whole way to the final sprint towards the finish at Musket Cove, bypassing almost the whole field of SUP racers despite starting the race a minute after them. During the intense final 100 meters sprint, Australia’s Harriet Brown managed to build less than a board length lead to cross the line first and win the Gold Medal ahead of Danielle McKenzie who took the Silver. Minutes off the leaders, Bronze Medalist earned by France’s Flora Manciet crossed the finish line in an impressive final. The 2016 ISA’s World SUP and Paddleboard Championship event is quickly setting the standard moving forward. Challenging conditions, strong surf conditions and national team spirits make THIS a championship to remember!